When I first heard of the Klairs Supple Illuminating blemish cream spf 40 Pa ++ (25$), I wanted to have one because of (the promised) multi functionality of the product. Okay, lets be honest, by definition we expect a BB cream to be multi functional, but of course that's not always the case. 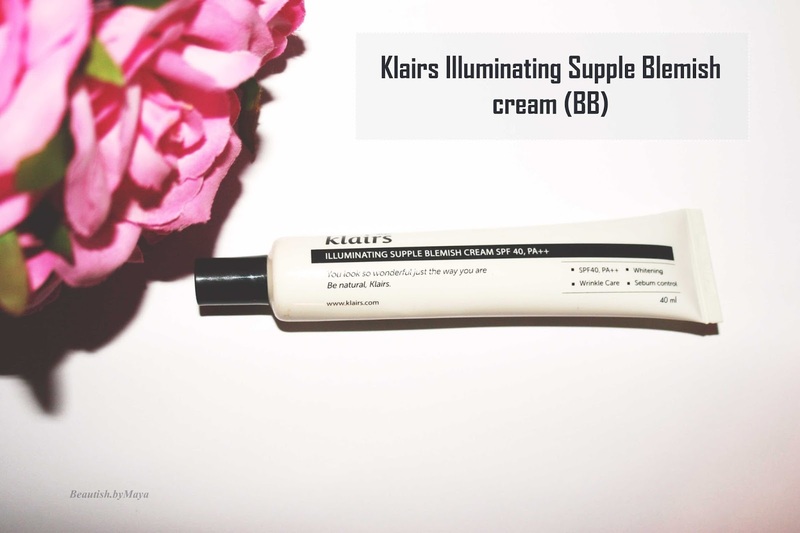 The Klairs Supple Illuminating BB cream was massively advertised by Wishtrend as their bestselling product and very much loved by bloggers. For those who are unfamiliar with the brand Klairs, here is a little background. The company is exclusive under Wishtrend, established in Seoul in 2010, focusing on skincare problems for those with sensitive skin. Their products are suitable for all forms of sensitive skin. Klairs do not test on animals, products are alcohol free, paraben free, free of artificial coloring and ecol-friendly. I received the Klairs BB cream with one of my Wishtrend hauls, it was included in a wishbox! The Klairs BB cream is quit popular among the Korean beauty fans, its in the top chart of most popular BB creams with memebox, 10x10 and Babo Sarang. I was very excited try the Klairs BB. 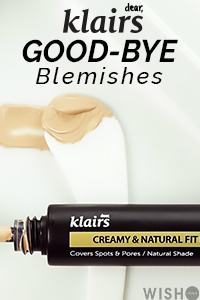 Here is what the brand has to say:Capturing your natural skin tone, Klairs BB cream pulls out the best of what you got underneath. Your natural skin, only better! You look so wonderful just the way you are, enhance your natural beauty with the BB cream Korean women love so much! Suitable for every skin type, even sensitive and acne prone. Ingredients: Water, Cyclopentasiloxane, Butylene Glycol, Ethylhexyl Methoxycinnamate, Betaine, Cetyl Ethylhexanoate, Titanium Dioxide, Caprylic/Capric Triglyceride, Niacinamide, Polysorbate 60, Dimethicone, Cetyl Peg/Ppg-10/1 Dimethicone, Zinc Oxide, Yellow Oxide Of Iron, Isoamyl P-Methoxycinnamate, Diethylamino Hydroxybenzoyl Hexyl Benzoate, Bentonite, Sodium Chloride, Silica, Red Oxide Of Iron, Bis-Ethylhexyloxyphenol Methoxyphenyl Triazine, Stearic Acid, Dimethicone/Vinyl Dimethicone Crosspolymer, Chlorphenesin, Talc, Black Oxide Of Iron, Tocopheryl Acetate, Fragrance, Centella Asiatica Extract, Sodium Hyaluronate, Glycyrrhiza Glabra (Licorice) Root Extract, Portulaca Oleracea Extract, Piper Methysticum Leaf/Root/Stem Extract, Allantoin, Adenosine, Sodium Ascorbyl Phosphate, Linum Usitatissimum (Linseed) Seed Extract, Hibiscus Esculentus Fruit Extract, Aloe Barbadensis Leaf Juice, Arctium Lappa Root Extract, Hibiscus Mutabilis Flower Extract, Corchorus Olitorius Leaf Extract, Methylisothiazolinone. The BB cream promises a natural translucent finish, complete hydration (even for sensitive skin) and multiple application without clumping. I like the 40 spf and PA +++, but never trust the spf in your make up, you never apply enough. If we look at the ingredient list we see some silicons, plant extracts and UV filters which gives the cream a SPF 40. I like that Niacinamide is high on the list, a very effective whitening and cell communicating ingredient. The packaging is very attractive, it has sleek elegant vintage look to it. The tube is narrow but elongated with cap dispenser. Just read the slogan on the tube: You look so wonderful just the way you are, be natural, Klairs. There is something about using a BB cream with such a beautiful phrase. 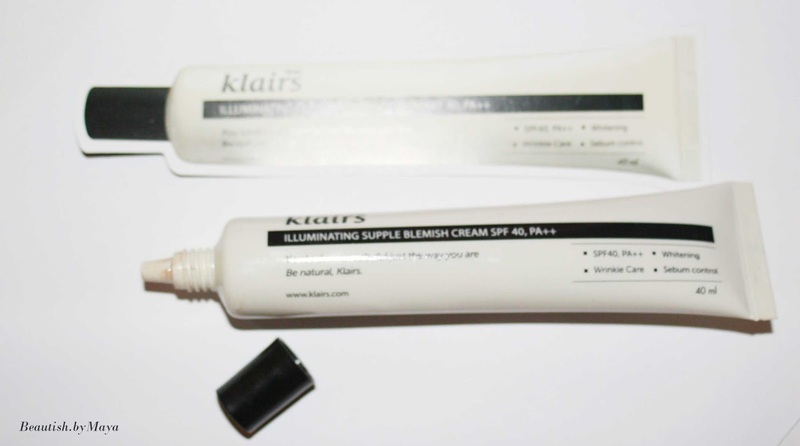 You can apply the Klairs Illuminating Blemish cream with your fingers or a foundation brush. The texture is light creamy, neither to liquid or heavy. To dispense the product you have to slightly press on the tube. Its easy to use, I'm able to dispense small amounts of cream without wasting any. The BB cream smells of typical fragrance, a flower powdery scent. For a natural look, and to cover minor imperfections one layer is enough, you can built it up if needed. I would say the coverage is light to medium. If compared to western foundations providing minimal coverage the Klairs BB cream would qualify as a medium coverage BB cream. The color is different from other Korean BB creams in that it has more of a yellow tone base and less grey in it! 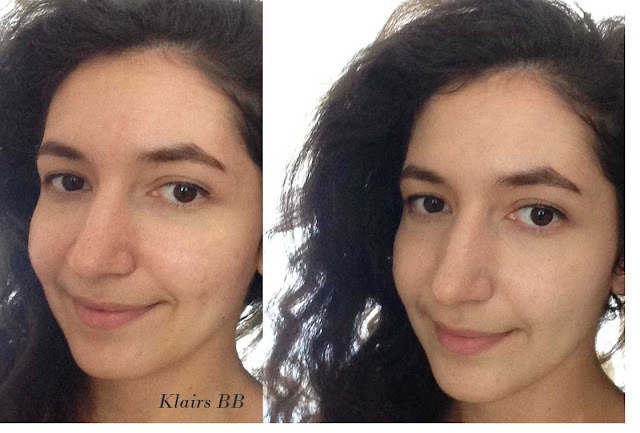 Before (left) After (right) Klairs Illuminating Supple Blemish cream BB covers redness, marks, scars and evens the skin tone. The description says its suitable for all skin types, of course there are some people who may react to it and find it unsuitable. I have sensitive combination dehydrated skin and the Klairs BB cream caused no negative reaction. Depending on my skincare the finish can look satin to more dewy, its for sure not drying. I find that the BB cream holds quit well with minimal oil production throughh the day. You can some oiliness after 5-6 hours, but its pretty normal for a dewy BB cream. Its doesn't feel as light on the skin as many of my cushions compacts, but I would say that its lightweight compared to regular foundations. Now does it hold up to its promises? 1) Natural Translucent - Yes, the Klairs Illuminating Supple Blemish cream has more of a yellow undertone giving the skin a natural finish. The coverage is not think and can be easily built up. You can also mix it with any other foundation or BB. 2) Complete hydration, even for fry sensitive skin - Yes, the finish is dewy, hydrated my skin and didn't cause any reaction on my skin. 3)Multiple application without clumping - yes, it covers pores and redness and you built up the coverage without the fake look. 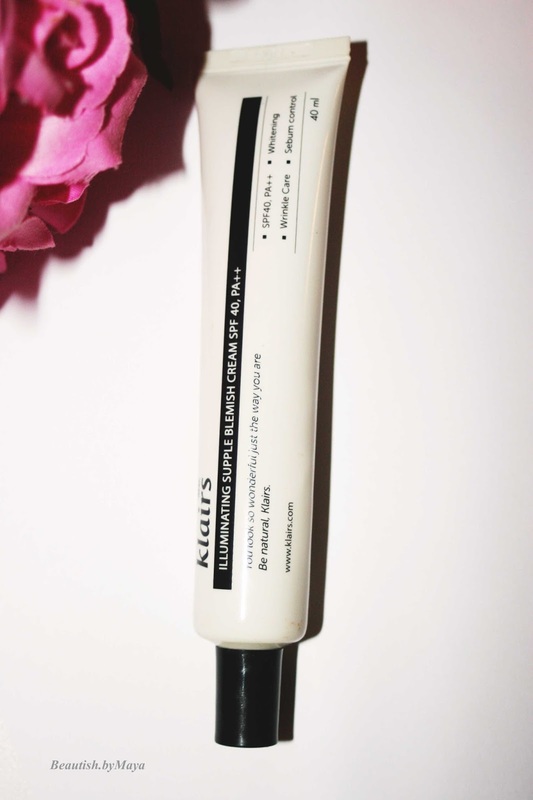 Overall I really like the Klairs Supple Illuminating blemish cream, it has a dewy finish, hydrates my skin and looks natural. The only negative think about it is that there is only one shade, it is slightly too light for me, but not very obvious. Its perfect for dry and combination skin types. I think that even if you have oily skin this BB cream would do a decent job. You can buy it at Wishtrend* here for 24.99$, there is a great deal now as you get one Klairs concealer for free. "I am also on Reddit and /r/asianbeauty!" *This post contains affiliate links (market with an *) Shopping with them will support the blog. I still haven't tried this BB cream mostly because I am afraid it will not match my skin tone! It looks good on your skin! This bb cream looks amazing on you. I would love to try it. I still fee skeptical as it has some grey undertones. Thanks for the detailed review.